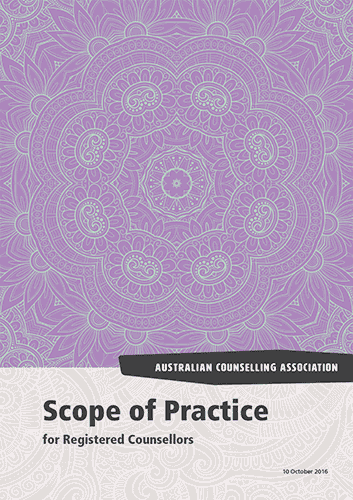 Scope of Practice for Registered Counsellors was designed and developed for the Australian Counselling Association (ACA). 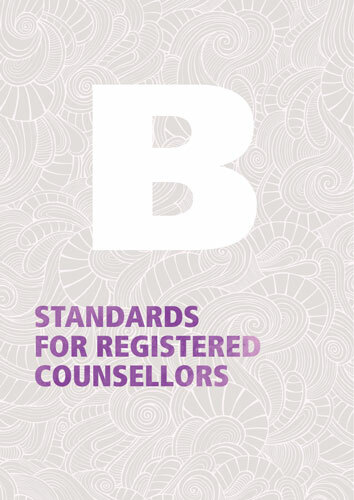 The publication sets out a framework for best practice, standards and guidelines. 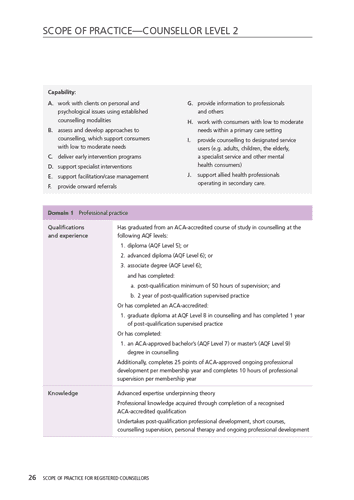 ACA, Australia’s largest single registration body for counsellors and psychotherapists, published Scope of Practice for Registered Counsellors for its members, government and professionals working within the mental health sector. ACA requested that no photographic images be used. They wanted to avoid stereotypes and did not want to identify any of the content to a person or group. During concept development, Nikki M Group devised a solution to identify the publication using hand-drawn images inspired by mindfulness drawings. These abstract images are made up of detailed patterns, from perfectly ordered architectural patterns to turbulent van Gogh like swirls. The images are symbolic of different personality types and convey multiple meanings. Detail from a section opener showing the face of a peacock. 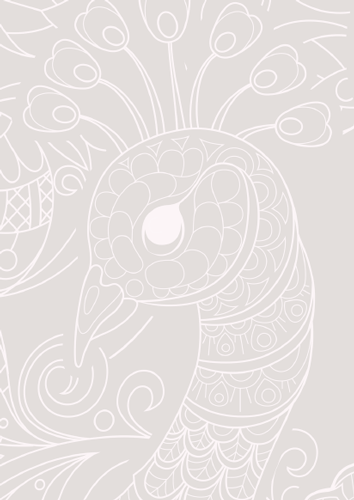 The softly rendered peacock is extravagantly decorated with a tail of eyes, a crest of hearts and elaborate flowing lines. The publication has been designed with balanced margins and generous white space. Changes between single and multi-column layouts help to differentiate sections and to present information so it is easy to follow. Double-page spread showing section opener and body text. The large “C” creates a sense of scale and hierarchy. Close attention has been given to every character, line, paragraph and heading to ensure readability. 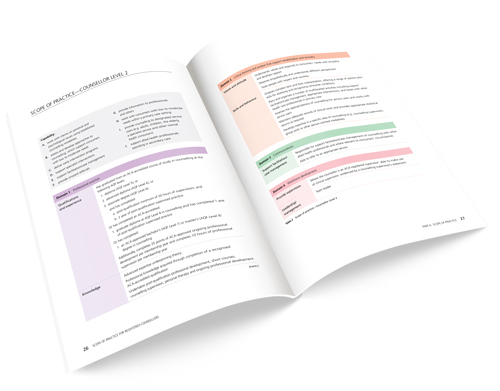 Need to design a book or research report? Want custom cover design that is unique? The colour palette is soft and gentle with flat panels of pastel colours. There are subtle colour changes against neutral greys. Double-page spread showing tables in pastel colours. Colour is applied sparingly and purposefully. The body text and headings are strictly black or knocked out of a black panel. 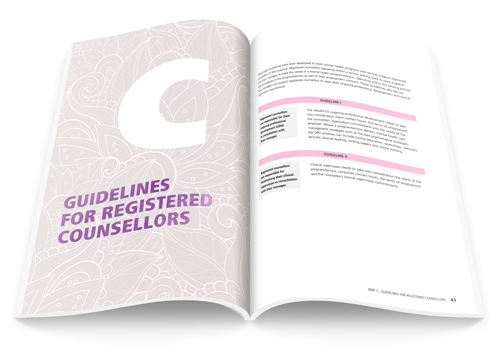 The colour palette gives the document an identity, defines the design components and guides the reader through the structure of the publication. Text flow and typographic arrangements have been designed to allow for screen readers to follow and read content. Do you need press-ready artwork and a digital document? Nikki M Group provides publication services for each stage of your project. 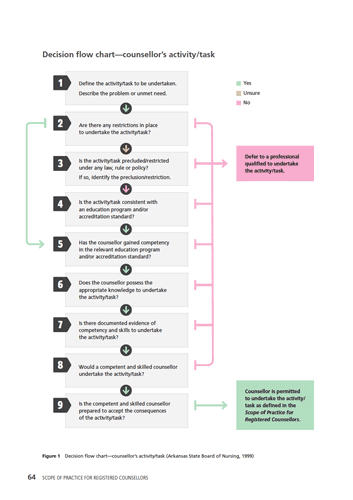 Create a publication that looks great and exceeds your expectations.